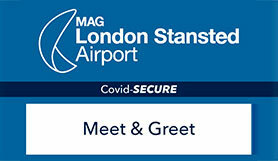 Stansted Official Meet & Greet must be one of the most convenient airport parking options available. This hassle-free solution allows you to drop your car at the Meet & Greet car park, grab your cases and take the two minute walk to check-in. A trained valet will then drive it safely to a secure space where it’s monitored by CCTV and staff on foot patrols. It’s open 24 hours and easy to find from London and Cambridge directions — type Long Stay Car Park, Stansted Airport, Essex, CM24 1SF into your Sat Nav to stay on track. Stansted official Meet & Greet parking is ideal if you’re travelling with small children and suitable for Blue Badge holders who may have mobility issues. It sets the tone perfectly for a chilled-out holiday or blissful business trip — booking ahead is the only way to guarantee a space. The car park has requested that you please print your confirmation email and take it with you when you travel. Hours of operation: 24 hours. The valet operator indemnifies customers for vehicle damage resulting from any proven act of negligence on the part of its staff. Please advise the Airport Valet service if you are going to arrive more than 30 minutes late.